My Lammas Ritual Kit for health is the second of five kits intended to celebrate the magic of Lammas. Lammas is the first of three harvests of the fall season. The second is September 21 (Fall Equinox) and the third is October 31 (Samhain). Lammas honors the god Lughnasadh and celebrates the initial harvests of the season, which were traditionally corn and wheat. At first harvest, summer winds are still blowing and all crops are in steady growth. Yet the days are growing shorter, the nights are a touch longer, and the chill in the air once the sun goes down is a stern reminder that winter is coming. It’s just beyond reach. This turn of the Great Wheel is difficult for many because it’s a sign that our chances for growth and creation this year are running out. Soon nature will wrap her warm arms around us and urge us to rest. But not yet. This is the in between place of growth and stasis, an outward representation of our internal struggle with and against nature. Like a child and parent. We learn, we push boundaries, we resist, we grow, all while being held by a much greater force. When we stop resisting we realize we can rest here, in nature’s bounty, and trust her rhythms. Look back upon the first half of this year, and upon the seeds we planted. Ask yourself: Did I plant them with mindful intention, or did I drop them carelessly as I walked? Either way you’ve sown something, and now as the first harvest begins, it is time to reap what you’ve sown. 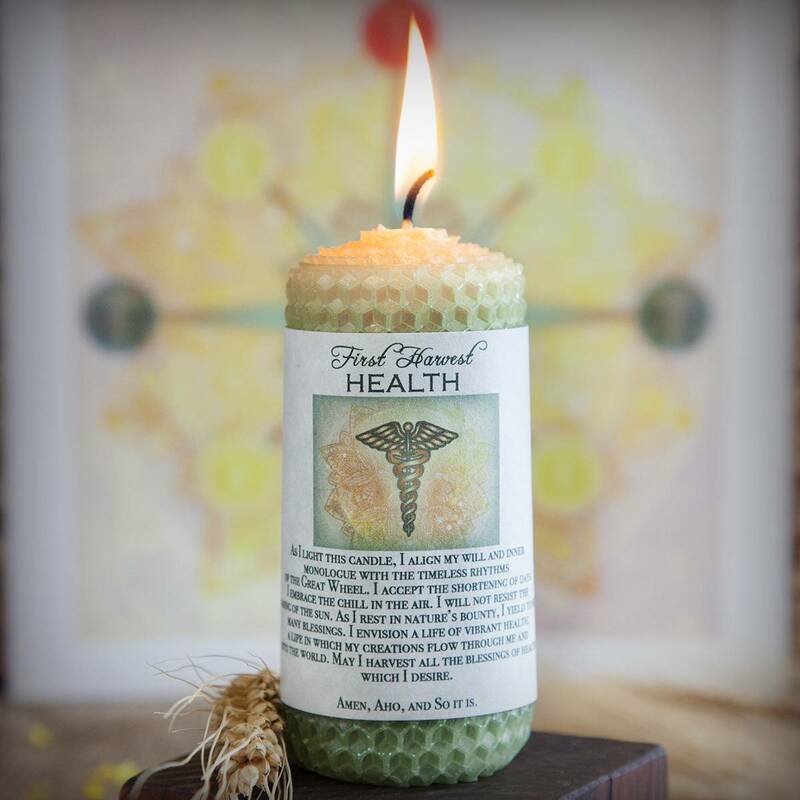 The first tool in your Lammas kit for health is a gorgeous Health candle. 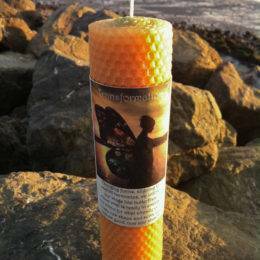 This half size candle has been hand rolled with layers of gold and light green beeswax. Each candle comes with a special invocation that you can recite out loud to invoke all health and well-being which you desire. Next is a bottle of Health perfume. 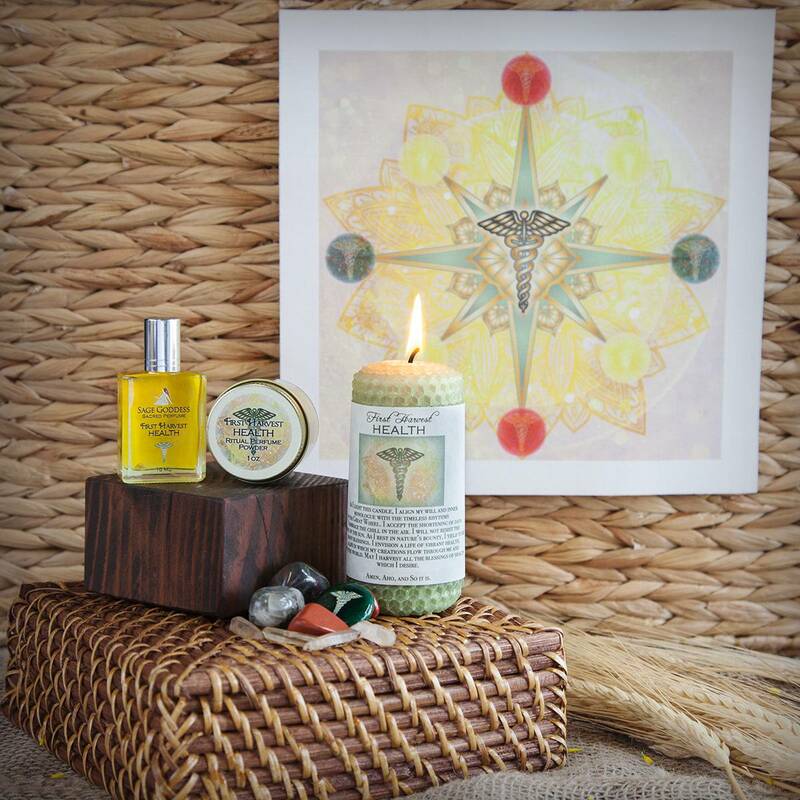 This wellness blend has notes of lemon, frankincense and peppercorn. Use this blend to anoint yourself, your stones, and all you sacred tools for ritual work. 4 Congo quartz points. 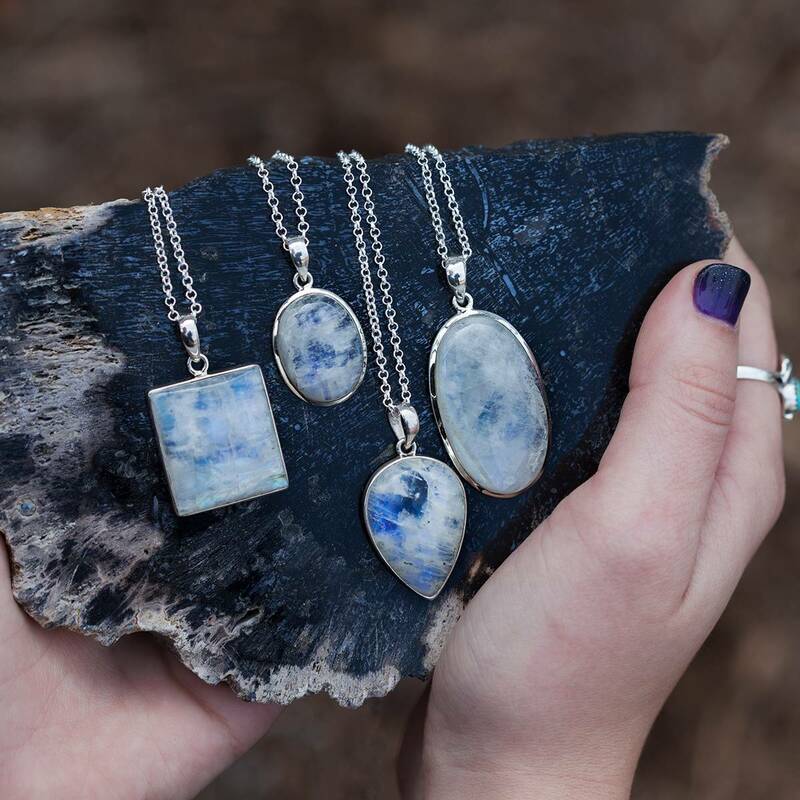 You can feel the difference from Brazilian quartz when you hold these quartz points. Copper and manganese in the mine result in golden and some black markings. These Congo quartz points offer magnification, intensification, sealing of spells or intentions, and are ideal for holding sacred space. 2 Red Jasper. Red jasper is a stone of regeneration. It brings renewed strength and courage, working with your physical body to ground and connect you with the Earth, while creating both stability and emotional cadence in your life. In order to soar to new heights in any endeavor, we must first be firmly planted, strong, and fearless. 2 African Bloodstone. When feeling fearful or frail, bloodstone brings tenacity and strength. It gives us the confidence to face challenges, instills the courage to move forward, and carries an encouraging, comforting energy. 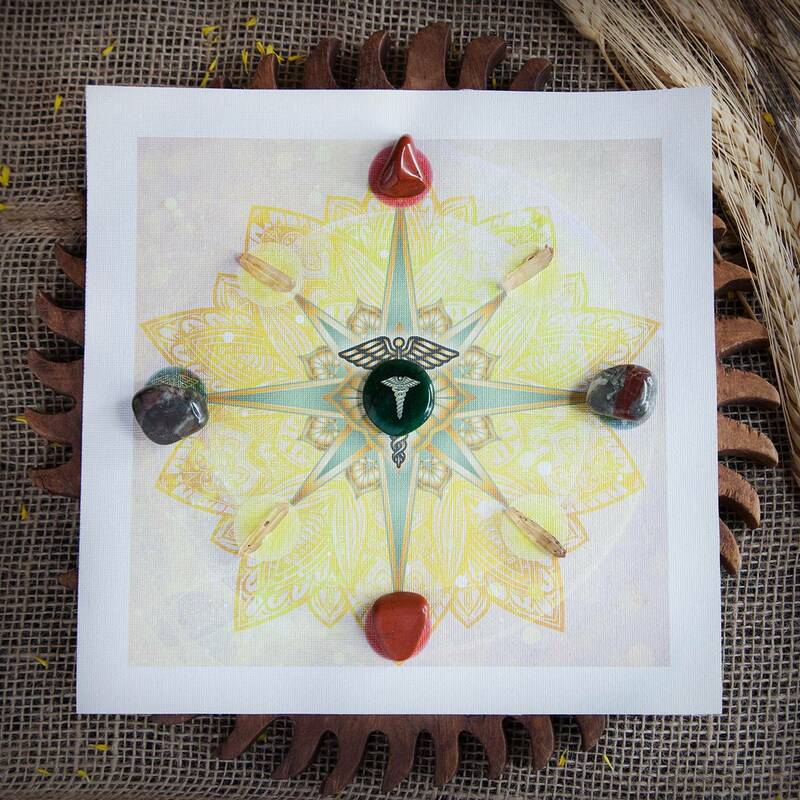 Bloodstone draws energy through the base, or Root Chakra, filling us with greater determination. It will be your ally in difficult times, increasing your resilience and resolve. 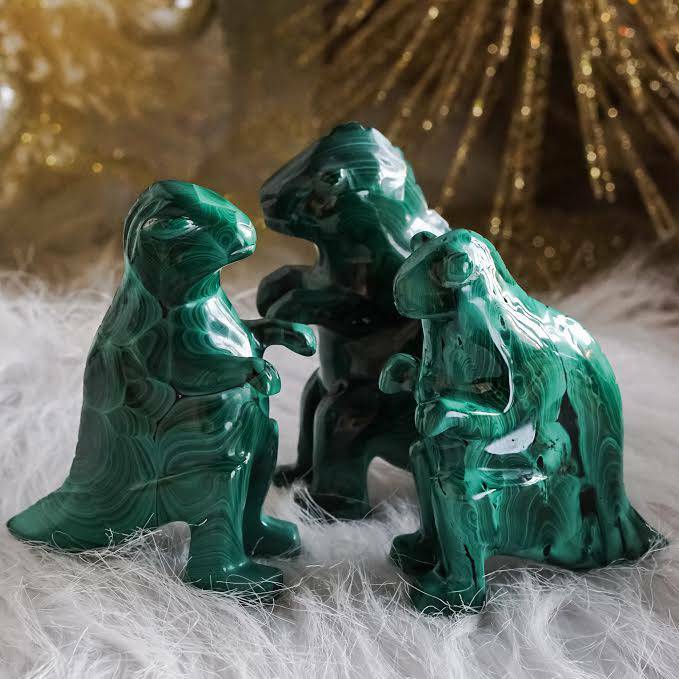 Next you will receive a fuchsite palm stone. Fuchsite is another master healing stone. It is the gemstone of spring renewal that opens the Heart Chakra wide, and helps you find your twin flame. It heals the heart and strengthens the body. Next is a .5 oz jar of Health Ritual Perfume Powder. 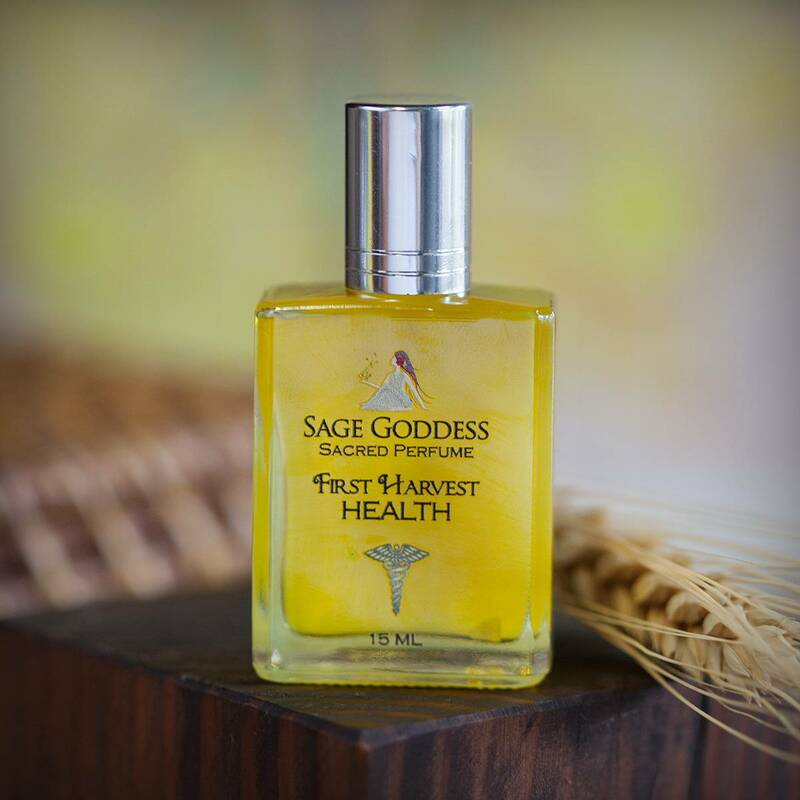 A blend of nettle, rosemary, ash prickly bark, and sandalwood, use this blend as perfume, incense, and to sprinkle around your home and abundance altar. This blend has also been infused with a red jasper stone to keep you grounded while you do your spiritual work in the world. Finally, you will receive an 8×10” canvas printed with an eight pointed star and the four directions. The eight pointed star is prominent in spiritual traditions from many different cultures throughout the globe. It is known as a star of redemption and regeneration. The symbolism of this canvas is further deepened by the four directions. The four directions represent cardinal energies, the elements that surround us and work within our lives. The four directions are integral to our spiritual work – they help us as we create sacred space, keeping us supported and grounded. Note: This perfume product is made with natural essential and carrier oils, and may contain fragrance oils. Cap color, chip stone, and color may vary slightly. For external use only. Please remove candle label before burning, always use a heat proof dish on a stable surface, and never leave a burning candle unattended. This listing is for one (1) Lammas ritual kit for health, as described above. Yours will arrive lovingly parceled for your enjoyment and delight, along with a parchment describing the properties of your stones.